The idea of placing bids on the Internet for the purchase of goods and services was made popular by eBay more than 20 years ago. Today, there are hundreds -- perhaps thousands -- of similar websites that execute buy-and-sell transactions online. Internet real estate auctions were scarce until the real estate bubble burst in 2008. Many people think that the online real estate auction market is mainly for disposing of distressed properties. However, that's starting to change. Undoubtedly mobile Internet bidding will boost more online real estate transactions, which will also result in more real estate transactions by auction sales methods -- and less using conventional negotiated sales methods. The idea of placing bids on the Internet for the purchase of goods and services was made popular by eBay more than 20 years ago. Today, there are hundreds — perhaps thousands — of similar websites that execute buy-and-sell transactions online. When it comes to real estate, the idea of buying and selling real property online is just beginning to take off. Internet real estate auctions were scarce until the real estate bubble burst in 2008. Internet real estate auctions were scarce until the real estate bubble burst in 2008. Many people think that the online real estate auction market is mainly for disposing of distressed properties. However, that’s starting to change. Some are starting to see that online auctions can be an advantage for both the buyer and seller — regardless of the type of property. Auction.com, the first Internet real estate auction site, added to the limited perception of Internet auctions by featuring primarily distressed properties. Over the past few years, Auction.com has continued to do well and is increasing the number of non-distressed properties offered for online bidding. But how long will it take for real estate buyers and sellers in the United States and Canada to adopt a more accepting attitude toward online and mobile bidding for real estate properties? To begin to answer the question, we’ll take a look at a country where real estate auctions are far more common — Australia. If there’s one significant feature of Australia’s real estate auction process, it is the lack of government regulation in the industry. Laws regulating real estate auctions vary from state to state (Queensland versus the Northern Territory). One significant feature of Australia’s RE auction process is the lack of industry regulation. Australians who venture away from the more traditional and arguably safer offer-and-acceptance method of buying real estate are warned they do so at their own peril. The government has stepped in on occasion to establish standards of conduct for the industry, but, in general, the policy is laissez-faire. It’s the opinion of some Australian real estate pundits that this lack of government regulation is precisely what will be the demise of the real estate auction industry. The United States and Canada have far stricter standards for the licensing of real estate agents, and as a whole, the industry does an excellent job of regulating itself. This fact brings stability into the real estate auction industry and significantly reduces the risk of serious abuse. Another critical issue is the condition of real estate auctions in various Australian states. Some states prefer auctions over the use of real estate agents. Others, such as Queensland, require the seller to reveal whether they will derive any benefit from the sale. Thus, when the government does set forth regulations, they are varied and inconsistent. The lack of consistent laws at a real estate auction discourages participation in more than a few prospective buyers. In the United States and Canada, there are national and federal oversights to ensure that real estate laws are applied consistently. This makes the acceptance of online and mobile auctions far more likely when compared to Australia. One difference between the Australia and current state of domestic auction bidding is the financial terms of condition. In the United States and Canada, buyers must prove their ability to pay in full (plus any fees and expenses assessed by the auctioneer) immediately upon winning the bid. In Australia, the buyer needs only 10 percent of the winning bid, and the outstanding amount can be arranged within four to six weeks of the end of the auction. The difference in regulations is significant because buyers and sellers see the auction process as the end of the financial transaction. Australian buyers only need 10 percent of the winning bid — the rest is arranged within 4-6 weeks. For the purposes of the growth of online auctions, this is a vital financial safety factor for the buyer and seller. In the United States, the use of smartphones and tablets have exploded over the past two years, and the lifestyle of many people can now be described as mobile. A comScore report said, as of May of 2014, smartphones and tablets combined have now accounted for 60 percent of all Internet traffic — up from 50 percent a year before. 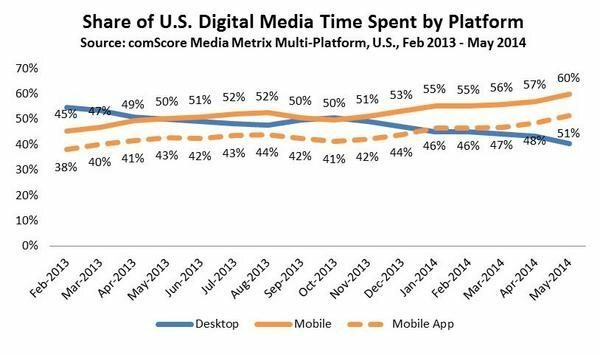 And 51 percent of that traffic is driven by mobile apps. Smartphones and tablets account for 60% of Internet traffic — 51 percent is app-driven. There is no reason to expect that one of the most important decisions — buying a home — will be excluded from the mobile lifestyle. With Internet bidding, bidders can submit bids without personally attending the auction. However, online auctions require bidders to submit a bid and then wait for the next higher bid. Sometimes the bidder has to wait for a few days, and sometimes just a few seconds. Before mobile devices, bidders had to go back and forth to their desktops to check for the current highest bid and submit their next bid if they so desire. 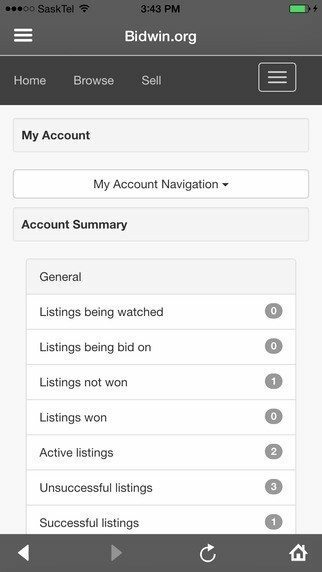 With mobile Internet bidding, bidders can be notified of any new bid by their mobile device and can submit their next bid at anywhere at any time. They say there is an app for everything, and a bidding app can be developed to make mobile Internet bidding for real estate even more easy to use. An example of a mobile Internet bidding app for real estate. A bidding app can be developed to facilitate the convenience and simplicity of mobile Internet bidding for real estate. With more people using mobile Internet and auction becoming a more widely accepted sales method for real estate, what will happen when mobile Internet bidding is used for real estate transactions? Undoubtedly, mobile Internet bidding will boost the number of real estate transactions online, which will also result in more transactions using auction sales methods and fewer transactions by conventional negotiated methods. Robin Liu is the founder and CEO of Bidwin.org, the first online real estate auction marketplace in Canada. You can follow him on Twitter. Will technology wipe real estate professions off the map?